EMC2DATA is a Strategic Outsourcer Independent provider of network deployment services, cyber security systems, engineering and integration services. We’re a leading, efficient and cost effective IT outsourcing support and computer consulting services in U.S. We offer Onsite IT support and deploy resources to manage your technology needs; be it data solutions, network solutions, MS exchange email hosting or virtual server hosting. 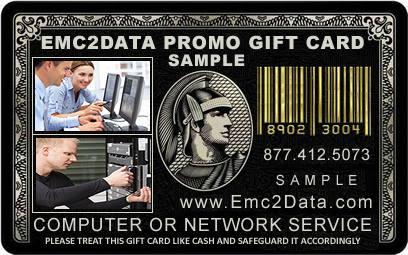 EMC2DATA can offer products and services to serve the needs of any business. How can we help? Send an email or call 1 8 7 7 . 4 1 2 . 5 0 7 3 for more information.